These are some of my ALL TIME favorite blogging resources! I use each of these for Sunny Thymes and can hardly put into words how useful each of them is. This is the camera body I currently use. I LOVE IT. My rebel t5 broke in November 2018 and I was devastated (yes, I was nearly crying). I really didn't want to have to buy a new camera. I decided to rent a camera while I was waiting for canon's service department to see what was wrong with mine. I rented this one and immediately realized it was totally a sign that it was time to upgrade! I am amazed at how much easier it is to create the lighting and look I'm going for with this camera! This is the lens I use for all of my food photography. I highly recommend investing in a quality lens. I used to shoot with a lens that was $125 and it was like night and day when I switched to this one. This is the camera I started off with for my food blog. It's great for beginners or if you aren't ready to make a bigger investment. I'm still sad mine broke because it represented so much growth and learning for me but I ended up upgrading to a Canon that I love (see the 6D on this page). I recommend the 6D to anyone who can afford it or who's looking to step up their game. Otherwise, this rebel t5 is really a great deal for anyone starting out. FBP is an online membership site that basically gives you access to the essential information and tools you need to start a food blog. They have tons of videos that teach you everything from food photography to SEO (search engine optimization) to creating an eBook. You’re also part of an the online community once you join where you can ask as many questions you want and talk with other bloggers (you best believe I’m always asking 1,000 questions….). I joined in 2017 and it was one of the best decisions I’ve ever made..I would not have been able to create a blog without it! 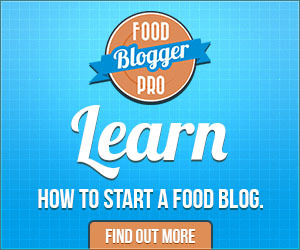 It’s the ultimate food blogging resource and I’ve made some great friends through through it! This is an online course about how to create magical photos through editing in Lightroom. Rachel’s photography (Two Loves Studio) is absolutely STUNNING and she shows you exactly how she creates the wow factor in her images. This course drastically improved my recipe photos on my website and highly recommend it to anyone who wants to learn how to utilize Lightroom to its full potential. I had no idea how to use most of the really awesome tools but now I do. Rachel breaks it down really simply and gives you EVERYTHING you need to know about editing food photos in Lightroom. Seriously, she is the QUEEN of editing!! This is the recipe plugin I use for Sunny Thymes. They have beautiful ready to use templates or you can customize yours (which is what I did). It’s optimized for SEO and super easy to use. The best part is the support is unlimited and they are always willing to help! 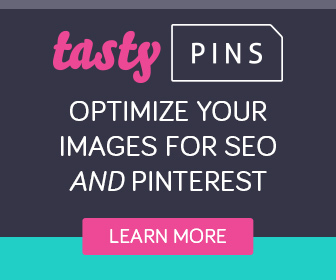 Tasty Pins is a super easy to use plugin that helps you optimize your images for SEO and Pinterest. Pinterest is the biggest driver of traffic to my site. So having really clean images for Pinterest is very important to me. My main reason for using it is that it allows me to add a Pinterest description to all of my photos without compromising the integrity of the image or SEO. 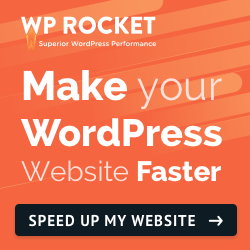 Not surprising that this is another WP Tasty resource. Their plugins easily solve my super annoying, specific #foodbloggerproblems. This one allows you to automatically link keywords throughout your blog. So instead of updating the link to where you can find the Intuitive Eating book every time I mention it, I update it once in Tasty Links and then every time I use “Intuitive Eating“, it will automatically get linked. 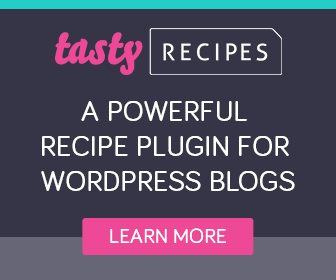 I tried another free plugin for links but WP Tasty works so much better because I can make my links open in new tabs and “no follow” them. I started out with Bluehost as many bloggers do. But, when I started digging into why my site speed was slow early on, an expert at Mediawyse helped me determine my host was part of the issue. He recommend Cloudways and I’m super glad I switched over. It’s really affordable and you can use their chat service at all time which I love because I’m kind of person who isn’t afraid to ask questions when I need answers. This also really helped improve my site speed! If you have a lot of meetings or work with clients, Acuity is the best. It allows your clients or meeting participants to select a date/time that works for them and it automatically puts it on your calendar. You can link it up with your email list and even your payment systems so everything is automatic. Some of these resources are affiliate links, meaning at no additional cost to you I may earn a commission, but I personally use, trust & highly recommend each of these tools!